Lincoln-Douglas debates began in 1858. The seven debates between Abraham Lincoln and Stephen A. Douglas provided the voters of Illinois a chance to see the candidates for a senate seat. The last debate was held in Alton, Illinois, on October 15, 1858. Although Lincoln lost the election, he became more known nationally. Older children can read transcripts of the speeches at: Lincoln-Douglas Debates. Mount Rushmore was completed in 1941. 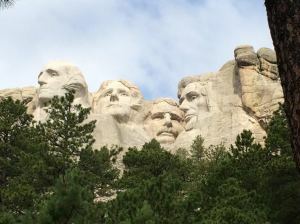 The project, depicting likenesses of George Washington, Abraham Lincoln, Thomas Jefferson, and Theodore Roosevelt, began on October 3, 1927. Nearly three million people visit it each year. Children could visit the park’s website at: http://www.nps.gov/moru/. Gettysburg Address was delivered by Abraham Lincoln in 1863. The Civil War battlefield was being dedicated as a national cemetery. While keynote speaker Edward Everett spoke for more than two hours, Lincoln’s speech lasted just two minutes. However, the speech stands today as one of the best pieces of oration ever written. The Library of Congress stores the actual written speeches. Children can read the words of the Gettysburg Address at: Gettysburg Address. Thanksgiving Day was celebrated nationally for the first time in 1789. 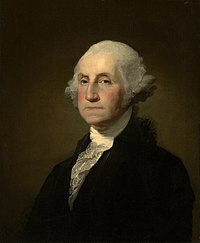 President Washington issued a proclamation declaring that the day should be one of prayer and thanksgiving. Children could research what the first Thanksgiving meal was. How does it compare to what they eat on the holiday today? In 1863 President Abraham Lincoln proclaimed that Thanksgiving would be celebrated on the last Thursday in November. In 1941 Congress passed a resolution changing Thanksgiving to the fourth Thursday in November. Children can read about “The Year We Had Two Thanksgivings” at: Two Thanksgivings. Lincoln Tunnel opened in 1937. It connects New Jersey with Manhattan and goes under the Hudson River. The tunnel is 1.5 miles long, and over 100,000 cars use it every day. Its original name was the Midtown Vehicular Tunnel, but officials named it after Abraham Lincoln. 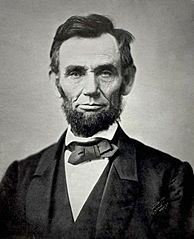 Emancipation Proclamation was declared by Abraham Lincoln in 1863, ending slavery. Children could read Dennis Brindell Fradin’s book, Emancipation Proclamation. Children could also read a transcript of the original document at: Emancipation Proclamation. Abraham Lincoln in 1849 received patent #6469 for “A Device for Buoying Vessels Over Shoals.” After working with boats that were stuck on sand bars, he invented the device that would inflate and move ships to water. However, the device was heavy enough that it caused problems. 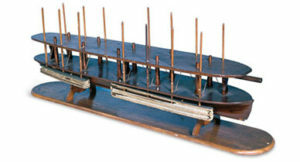 The model, whittled by Lincoln, is on display at the Smithsonian. Children can see the model and read more at: Lincoln Patent. Lincoln is the only president to hold a patent.